They say that hell hath no fury like a woman scorned, but I’ve read about something that matches that, plus some. After reading this book I was convinced that hell definitely hath no fury like a hellfire missile launched from an Apache helicopter – and given, the choice, I’ll take the bad scorned woman any day of the week. 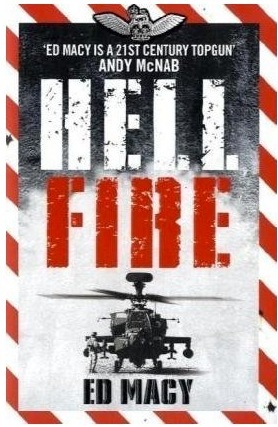 Hellfire is Ed Macy’s second book, the first being Apache, and both are about…..err the Apache Attack helicopter. Hellfire is the named of their most effective missile and is so called because of it’s mission capability it’s a HELIcopter FIRE and forget Air to Ground missile. Mr Macy has managed to write another book that really makes you believe that you are sat looking over his shoulder whilst he engages the enemy in Afghanistan. It’s a fast ride through some of his missions and at one point I considered ducking as he described being engaged by a twin barrelled anti aircraft gunner on the ground. The intensity of battle is remarkable and I have often said that all of these guys deserve a lot more than medals for the time they spend doing their stuff in theatre. One thing is for sure, the Apache is a formidable attack helicopter and Ed’s second book further extols the choppers fighting capabilities. Hellfire is now available in most good book stores and is, in my opinion, a must read.